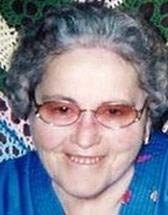 WATERLOO - Mary E. Beck, 80, of Waterloo, died Wednesday, Aug. 24, at Allen Hospital in Waterloo. She was born Nov. 25, 1930, in Sumner, daughter of Herman F. and Helen Lenway Rosenow. She married Marvin Beck and they later divorced. She was employed with Hinson Manufacturing and then Harmony House in the laundry department. Survived by a son, Randy (Jessica) of Cedar Falls; three grandchildren; seven great-grandchildren; and two sisters, Jean Makowsky of Waterloo and Janet Buffington of Livingston, Texas. Preceded in death by two brothers. Services: 10:30 a.m. Monday at Richardson Funeral Service. Public visitation from 9 a.m. until service time.